Get the Pay Per Head Sportsbook that will allow your clients to wager or bet on all sporting events that take place, anywhere in the world. We have a vast number of lines, live action, and props for maximum enjoyment. Our two decades of solid experience have helped us develop the key to a successful sportsbook business. Anchored to the goal to provide the ultimate sports betting entertainment, our Pay Per Head Sportsbook is the most reliable and comprehensive sports betting platform you can find. We understand your need to have an extensive offering for your players – and we are here to provide you with the widest variety of odds and betting types in every sporting event imaginable. Your players will enjoy betting on major sporting competitions such as MLB, NBA, NHL, and NFL (pre-season and regular season), and your players will have to look no further to access sports such MMA, golf, boxing, tennis, soccer. CFL football, international hockey, baseball and basketball, auto racing including NASCAR and Formula 1. Other sports that are popular the world over are also available. Our customized sites and pay per head services, that are powered by an incomparable infrastructure, the latest technological advancements, triple redundant systems, and our dedicated team of experts, are just a few of the reasons to manage your sportsbook business with IDSCA. IDSCA guarantees the fastest odds updates in the business due to our exclusive partnership with the world‘s leading data provider of US sports, giving us an integrated line feed that updates lines in milliseconds. We mean business when we say that our clients’ success is one of our most important objectives. To achieve this, we have developed a sportsbook platform that enables every pay per head bookie to understand the prevailing betting trends, giving an insight into better managing and increasing profit. All of this information can be seen in the online sportsbook platform designed and managed by our experienced team. This is just a starting point though, and our dedicated line managers can help explain all of the information available. It is well known that one of the first factors you should consider when looking for the best sportsbook provider, is reputation. This refers to the positive feedback about the service and the years in business in this highly competitive industry. One of the best ways to ensure that a company is worthy of its good reputation is to see if they follow through on their claims. We understand the value of trust and this is what inspires us to strive to be the best provider in the sports betting industry. We remain committed to ensuring that our bookmakers and their players are completely satisfied, making us one of the pay per head services with the best reputation. By immediately, we mean in real-time! Every time the line changes the new odds are instantly reflected on the website. This is crucial because customers have access to information on a real-time basis, and so the lines must reflect this updated information. This is one reason that our bookmakers have remained with us over the years. We give their customers the true lines, so that there is no unfair advantage or edge. We are giving you another reason to sign up with us; an additional way to earn more money. With referrals you can earn a significant savings, or expand your business by growing with others and reduce your rate. Either way, by bringing in friends, you save. IDSCA prefers to keep things easy and simple. Most of our bookmakers zero their customers out every week, but f you have customers that carry over, or zero out on a different day, we have made things simpler for you. Our Zero Out feature lets you clear one, several or all accounts, with the click of a button. This feature was inspired by one of our bookmakers, and it has become a very popular feature. When it comes to sports betting, we know that you want every transaction to be invisible. The whole purpose of an offshore sportsbook is to maintain all of your records in private, yet be able to access the information easily from anywhere by your mobile phone or computer. Your dedicated website gives you that privacy and easy access, and can be customized as you see fit. We’re not just about the platform – we have a team who work tirelessly to make sure your business is up and running 24/7. We have a dedicated staff of IT experts ensuring that you have access to the best and most secure infrastructure in the entire betting industry. Our support team have advanced industry knowledge and are ready to help you with a hassle-free experience. 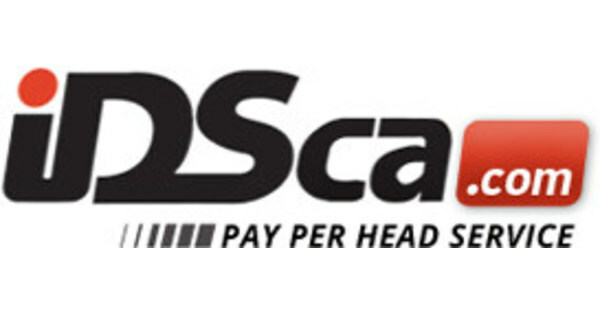 Setting up your very own price per head sportsbook business is a breeze with the help of IDSCA’s reliable and experienced team. By calling 1-866-CALL IDS (1-866-2257-5437) your site will be up and running within minutes. Choose from a variety of website designs and include only the services and sporting events that you want. The customization and flexibility are just the beginning. We have the expertise that will help boost your bookmaking business. We take pride in providing our clients with all of the necessary resources, including an advanced agent platform, our proprietary Live Player, and an ever-expanding portfolio of features. Contact us today or give us a call at 1-866-CALL-IDS (1-866-225-5437).